Did you see this?What do you think? Tootsie's Mom deserves a COngressioanl Medal of Honor!! she was ignorant to keep wearing something when your skin is infected, and clueless with no skills.. she needs to blame herself and stop using this in an attempt to be relevant or make a come back it won't work. that ship has sailed..bye girl.. I guess it makes sense, her claim, that if you use it continuously for so long something is bound to happen. I don't think her claim is substantiated with medical backing. This is her own personal opinion and instead of blaming the wigs she should switch and blame the glue she used to hold it down. She also probably did not take very good care of her skin under the glue or practiced poor removal of the glue which maY have caused sores, which in turn caused an infection and she still did not give it a rest. THIS MAY ALSO BE HER WAY BACK INTO THE LIMELIGHT. These units work fine as long as you use common sense. If she is stupid enough to apply glue to a hairline that is a pulpy mess .. that's on her. She said she wore the units 24 X7!! I've been wearing these units successfully going on 6 years. Now and then I have tried something new but if a few days later if I see bumps on my skin then know I cannot wear that product because I am having an allergic reaction .. so I toss it. DUH! There are s zillion products on the market .. she couldn't try another one? My hairline is as clear and smooth as it ever was ... simply because I take care of it correctly - I don't wear the units for a month or so - or double up on all sorts of chemicals. The person she should blame for her dissappearing hairline .. is that fool in the mirror. And the worse thing is .. she doesn't even look good in her unit. Looks fake. I wanted to respond to this thread yesterday, but I couldn't log on. Hundreds of women and men use adhesives for their lace units without incident. You try one adhesive; it doesn't agree with your body chemistry, you move on. You don't wait until it's oozing and smells bad to say, "Gee, maybe I should remove this wig." And to wear it for months without removing it? 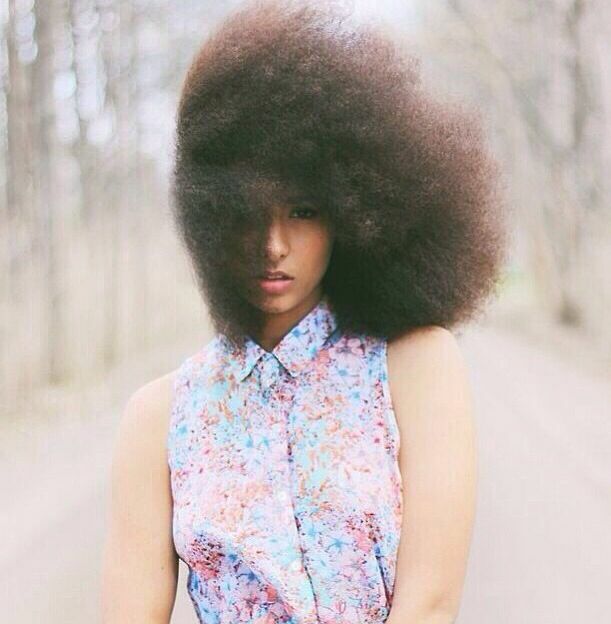 What does her natural hair look like? I recall hearing this story a few years ago about Countess. Is she trying to get some publicity to wake up her sleeping career? Countess dear, this is not the way. From what I watched, it seems like she decided to press on despite that her body wasn't responding well to the adhesive. When you ignore the symptoms that whatever you using your body doesn't want it, you will be hard pressed to find sympathizer. Been to Hollywood lately? If hair is tainted Kool -Aid..women are addicted to the poison. They wear hair..that doesn't match, doesn't look right...euucchhh! The pressure is unreal! I mean "pressure"to be beautiful and flowing day and night is unlike anything I've seen! It's eerie there..everybody has weave on..I saw ZERO natural hair. The one place that sells regular old indian hair wefts was standing room only. His N' Hers that used to be a little joint is now nearly a block long..with a SUPER (not really) HAIR store directly across the street. Most regular people do not care what's going on in Hollywerid - this is taking for granted that they have a real life for goodness sakes! I think if ALL the black females in Hollyweird are so weak-willed that they HAVE to wear weaves/wigs as adversed to wearing their natural hair etc - that would be one pitiful situation. Only the weak respond to such peer pressure. Everyone else would wear their natural hair if they wanted and keep it moving. What are they all 15 years olds with no backbone? But no one is holding a gun to their heads forcing them to live in that phony world. It's a choice. But to wear glue again and again over an infected pulpy mess of a hairline .. has nothing to do with this ‘supposed’ pressure. Again, when she saw her skin was having a reaction ... she could have maintained that same look with regular wigs/used a weave/worn a nice headwrap/gotten a different product and the list goes on. She could have done a number of things to treat that reaction EARLY before everything went sideways on her. So the ‘pressure of Hollyweird’ is no excuse for not using common sense. She us trying to be relevant . She saw her reaction to the glue and continued. No one is to be blame but her.